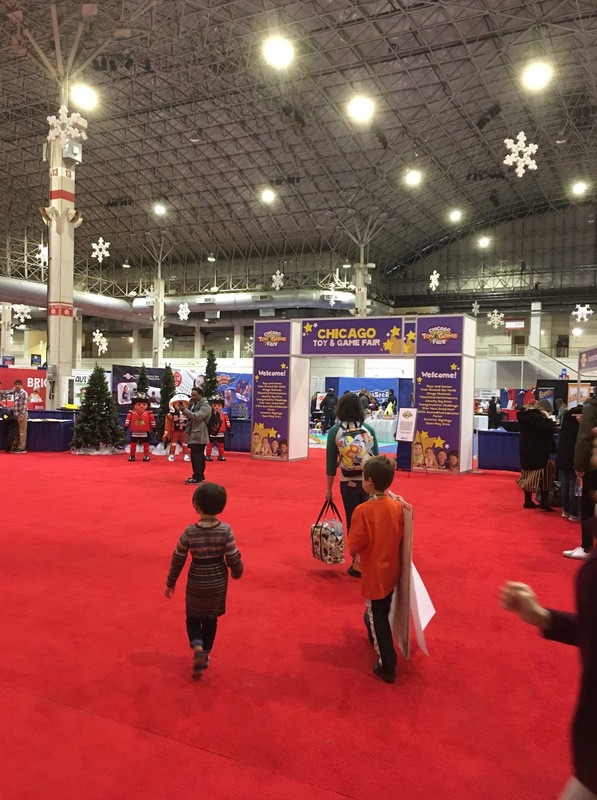 We had a GREAT time at ChiTAG over the weekend. We made the drive up to Chicago Friday, stayed overnight, went to ChiTAG Saturday, overnight again and then headed for home Sunday after church. We met some many amazing people at the Chicago Toy and Game Fair. Instant Glam Styling Head Dolls was one of the first booths we visited. These amazing dolls allow you to totally change their hair and style. The creator of these dolls used to find old dolls at consignment shops and such and re-create them for her nieces to play with. Now she and her partner are marketing these dolls to young girls. Her nieces, now 15 and 19 were at the show to help her promote the Instant Glam Dolls. 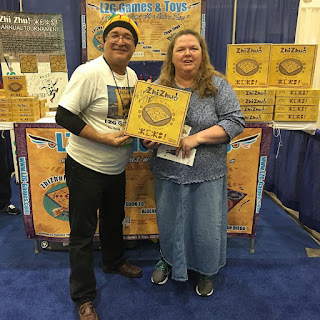 I really enjoyed getting to speak to the inventor of ZhiZhu. A game that mixes the skill of chess with the ease of playing checkers. I can't wait to have my family try out ZhiZhu, which means spider. ZhiZhu also comes in a travel edition. Another game we found interesting was B3 Blitz. We have an inside, tabletop version now, but hope to get a chance to try the outside Bean Bag Bucketz in the spring. Both games are played by having your bean bag or ball land in the basket. Here is a slow motion example of B3 Blitz. 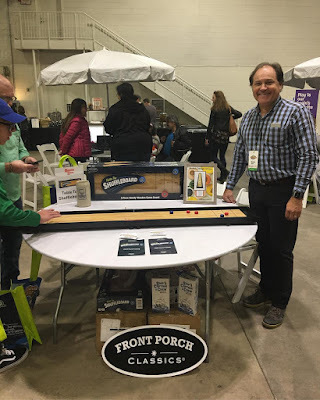 My husband spoke to the gentleman that designed Tabletop Shuffleboard as well as visiting the booth for Risky Arcade. 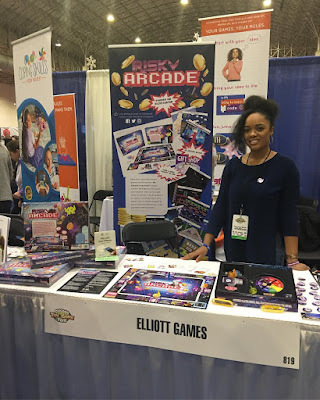 There were many other wonderful toys and games represented at ChiTAG and we will be reviewing a few over the next few weeks, so be sure to keep coming back. Where neighbors share!